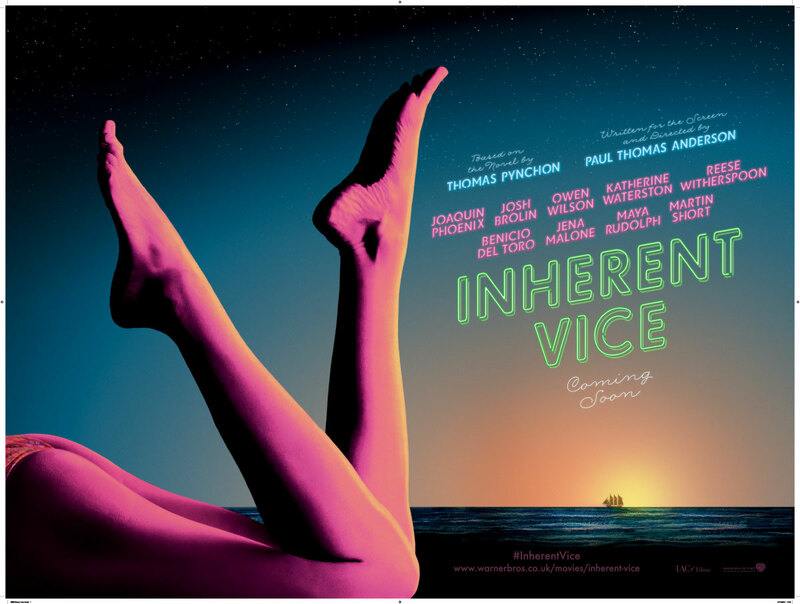 “Inherent Vice” is the seventh feature from Paul Thomas Anderson and the first ever film adaptation of a Thomas Pynchon novel. When private eye Doc Sportello’s ex-old lady suddenly out of nowhere shows up with a story about her current billionaire land developer boyfriend whom she just happens to be in love with, and a plot by his wife and her boyfriend to kidnap that billionaire and throw him in a looney bin…well, easy for her to say. It’s the tail end of the psychedelic ’60s and paranoia is running the day and Doc knows that “love” is another of those words going around at the moment, like “trip” or “groovy,” that’s being way too overused – except this one usually leads to trouble. With a cast of characters that includes surfers, hustlers, dopers and rockers, a murderous loan shark, LAPD Detectives, a tenor sax player working undercover, and a mysterious entity known as the Golden Fang, which may only be a tax dodge set up by some dentists… Part surf noir, part psychedelic romp – all Thomas Pynchon. This actor, a three time Oscar® nominee, best known for his role as Commodus in Gladiator, plays Doc Sportello in Inherent Vice. He also recently starred in Her and The Master. Name the actor. The competition closes on 6th Feb 2015 and is open to UK residents aged 16 or over. There will be 1 winner picked from entries on geektown.co.uk. ← Trailer for the new Fantastic Four Movie! Actor in question is Joaquín Phoenix.